At the Hormel Foods 125th anniversary celebration last July, Jim Snee, now the company’s president and CEO, invited a special guest onto the stage. Alondra is a tiny 12-year-old girl in tidy long black braids, wearing a traditional embroidered blouse and skirt. 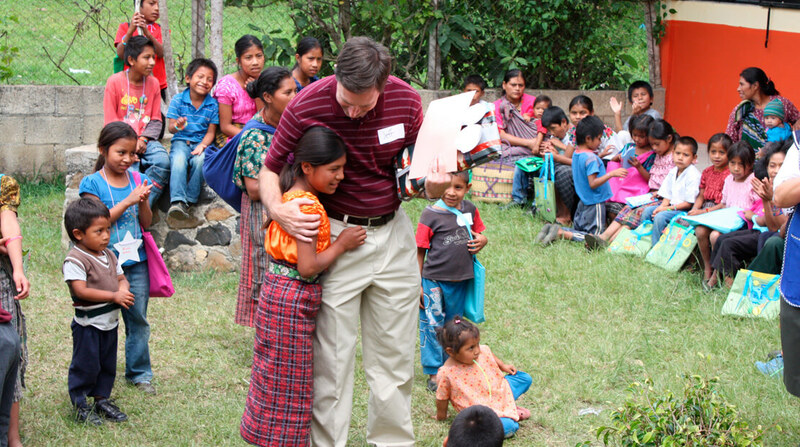 It was Alondra’s first time outside of her village of San Jerónimo Chuaxan, Guatemala. During the 2,500-mile trip to Austin, Minnesota, she’d had her first rides on an airplane, elevator and escalator. But Alondra’s journey from her starting point to a world of new possibilities was much longer than that. Alondra had come to speak about her life and how the company’s SPAMMY project, which helps children in several villages battle malnutrition and poverty, had helped her. The project came out of an initiative spearheaded by Jeff Ettinger, the former CEO of Hormel Foods and current chairman of the board, who had set out to find ways to address the problem of malnutrition. 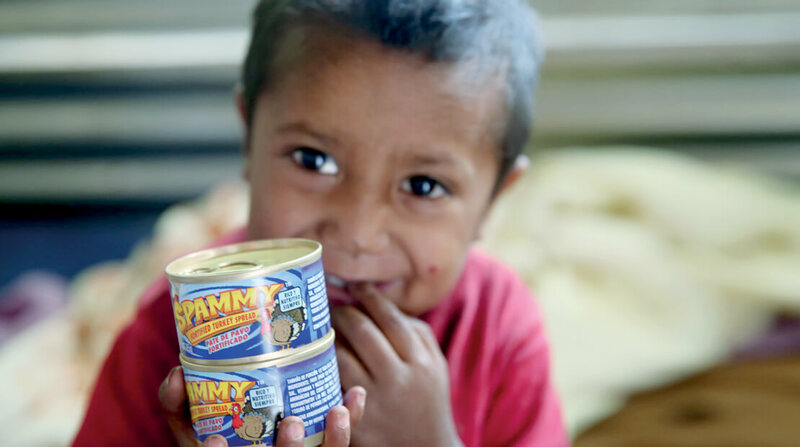 Working with nutritionists, the company developed SPAMMY® a poultry turkey product fortified with the vitamins and minerals the children in Guatemala lacked. The goal was to develop a product and a program that could create sustainable change one child and one community at a time. SPAMMY® turkey product, which is similar to a turkey paté, could be used to extend the traditional diet, added, for instance, to rice and beans. Ettinger knew that while Hormel Foods does protein well, it would take more than just delivering cans of food to solve the problems the malnourished children in Guatemala were facing. So the company partnered with organizations that understand the local culture—Food For The Poor and Caritas Arquidiocesana—to develop education and wellness programs that could help address malnutrition, one of the fundamental issues resulting from poverty, one family at a time. Like most of the children from her rural town in Guatemala, Alondra is tiny for her age. From the time she was born her growth was stunted from malnutrition. 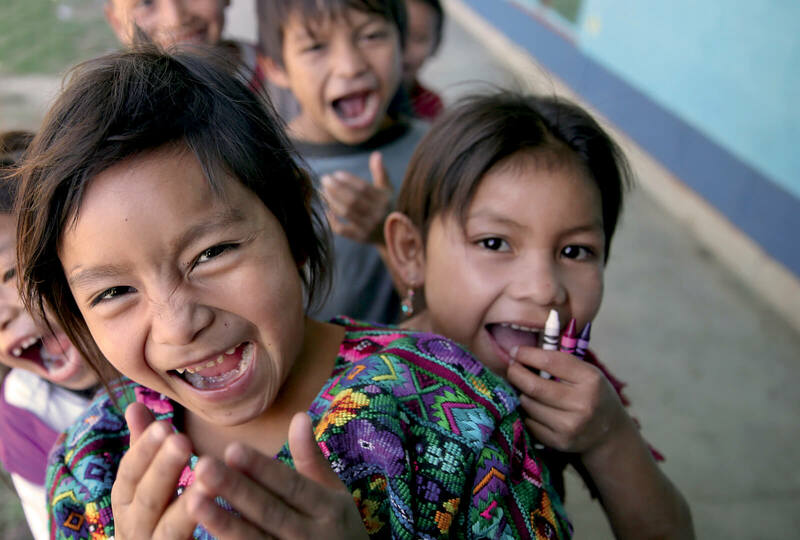 Without sufficient nourishment—not just calories, but essential protein and vitamins—one in two children in Guatemala suffers from stunting, and the country’s infant mortality rate is among the highest in the Western hemisphere. In San Geronimo, the community of about 5,000 where Alondra lives, most parents earn less than $5 a day, and can’t afford to buy eggs, meats and other high-protein foods to feed their children. The main industry in town is the dangerous and dirty work of rolling firecrackers. Unemployment is high and wages are so low that they often don’t cover basic costs of food and shelter, much less education. Alcoholism and domestic violence frequently add to the stresses of poverty in the community. Children usually leave school early to work to supplement their parents’ incomes; until this year, no one in the town could remember a child ever finishing high school. In Alondra’s family, her father disappeared long before she could remember him, and her mother survived by taking in sewing to feed Alondra and her two brothers. Listless, stunted and living in a machismo culture where the few opportunities that exist usually go to the boys, Alondra’s prospects seemed dim. Like most girls in her community, she would likely have children at a young age and repeat the cycle of poverty and malnutrition. In 2012, SPAMMY project arrived in San Geronimo. From the beginning, the program was more than just giving away food. A group of employees from Hormel Foods traveled to Guatemala and fixed up a community center, called a Chispa Center, where they passed out food to the mothers in the town—beans, rice, oil and cans of SPAMMY® turkey product. They also offered education. In order to take the cans of SPAMMY® turkey home, the mothers committed to participating in monthly programs on health and wellness; they also had to return all the empty cans at the end of the month to get new ones, so none could be sold for money or alcohol. The children, too, got more than nutrition with SPAMMY project—the Chispa Center offered a curriculum of crafts, English and technology classes created by Hormel Foods employees, aimed at boosting the children’s job prospects as well as their self-esteem and respect. SPAMMY project was designed to give the population the physical and psychological strength to fight the consequences of poverty. The motto of SPAMMY project is “Si se puede,” meaning “you can do it”—the impossible is possible. 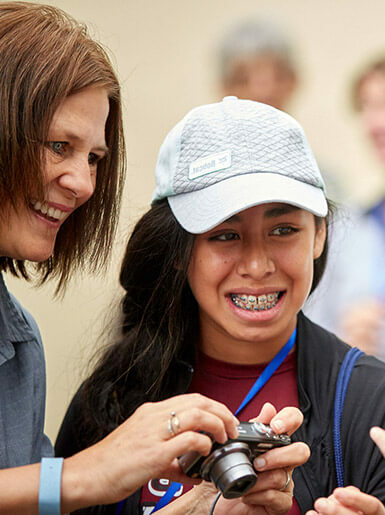 When SPAMMY project came to San Geronimo, it brought Alondra the prospect of a brighter future, one she would never have dreamed to be within reach. Since it began, Hormel Foods has contributed $3 million to SPAMMY project, distributing nearly 25 million servings to more than 8,300 families and 30,000 children. One study of 160 preschool children showed improvements in vitamin D and B12 levels and a positive correlation between cognitive gains and vitamin D concentrations. The goal of the project is not just to feed as many children as possible, but to make sure that those who are fed have an opportunity to rise out of the deeper problems of poverty. 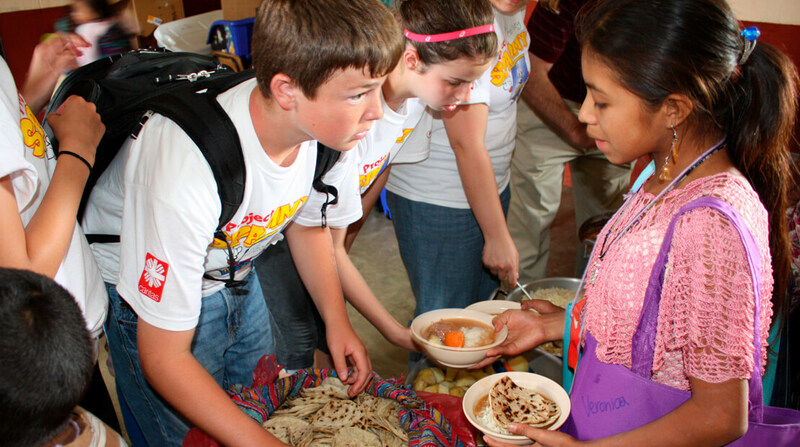 To that end, Hormel Foods employee volunteers have opened Chispa education centers in 19 communities in Guatemala, involving more than 3,000 children. They also contributed $131,000 over an eight-week period to fund scholarships to send children—including Alondra—to secondary boarding schools. “From day one, Jeff Ettinger outlined a vision to go deep, not wide, wherever we landed,” says Dan Hernández, who works in corporate communications and organizes the SPAMMY project employee trips. “Solving the problems of poverty and hunger is very complex. Providing the food is the easy part. Along with better nutrition, the children need better education, and opportunities to build their self-esteem and values. When you start shaping good values in children, then, you have a fighting chance of creating sustainable change,” he says. From day one, Jeff Ettinger outlined a vision to go deep, not wide, wherever we landed. Solving the problems of poverty and hunger is very complex. Providing the food is the easy part. Giving the children protein was the first, essential step in making changes. Six months later, volunteers returned to San Geronimo, and found the children full of energy, running around the room, being kids. Their hair was shinier, skin more glowing and eyes brighter. But the Hormel Foods employees realized that food and nutrition alone weren’t enough. The children needed to channel that energy into their futures. “If we didn’t do something extra, it would just be wasted energy,” says Hernandez. Hormel Foods introduced a partnership program for employees to come volunteer with SPAMMY project. Employees paid for their flights and Hormel Foods picked up the rest, to enable employees and their families to build the Chispa Centers and create the content of the curriculum. 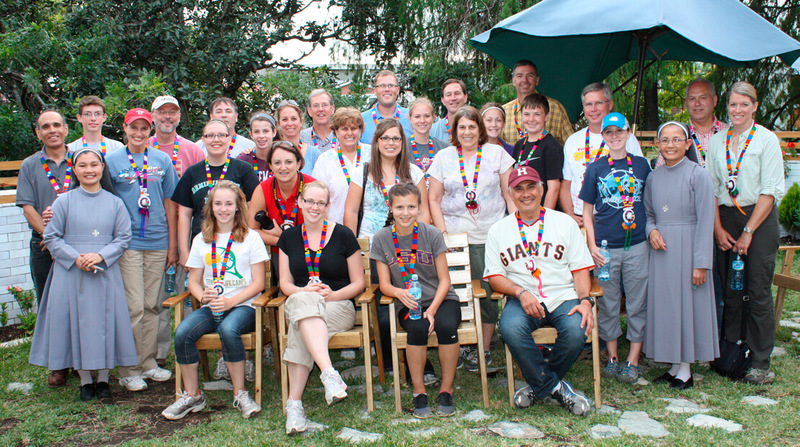 We came to Guatemala thinking we could make a change, but Guatemala changed us. The volunteers gave children dream books, where they could write down their goals and track their progress. They introduced them to simple arts and crafts, where children got a jolt of self-esteem when they presented their crafts to their beaming mothers. The volunteers offered games, building toys and puzzles to help the children with their imaginations. “It’s amazing how creative kids become with a push,” says Hernandez. They also introduced computers, basic English and physical education. “All these areas were designed to help the kids feel better about themselves, building self-esteem in small, incremental steps,” he says. 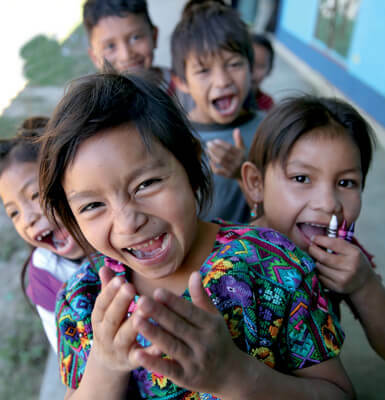 The Chispa Centers gave girls a chance to counter Guatemala’s male-oriented culture, where usually girls are last in line for any opportunity to play or learn. In the centers, at first, the boys would grab toys and computers from the girls’ hands. But the volunteers and nuns who oversaw the original Chispa Centers made sure that the girls had the same opportunities to participate. “That starts to shape lasting values,” says Hernandez. 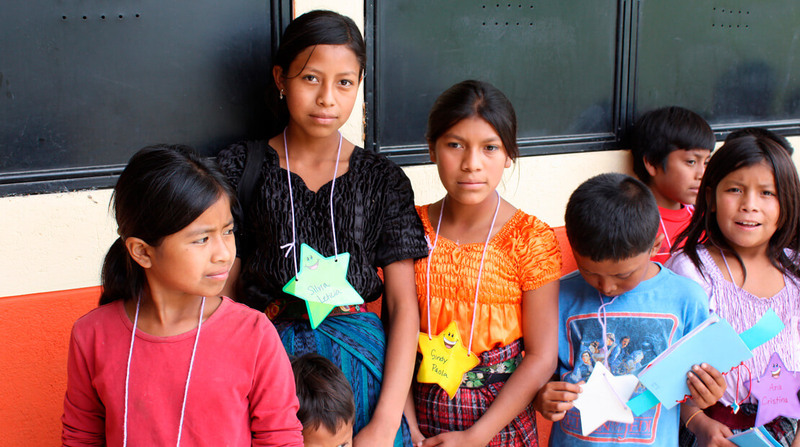 The mothers in San Geronimo now realize the importance of education. The children are starting to give back: When volunteers visit the Chispa Centers, the children perform dances and plays for them. Alondra’s brother, Roland, is one of the first five children in the community to graduate from high school. And Alondra has decided that she wants to become a doctor. Sister Martha, a Guatemalan nun who accompanied Alondra from San Geronimo, thanked the audience for their support of the SPAMMY project. “The children have had notable changes—their skin is brighter, they’re growing taller quicker and they’ve gained a little weight,” she said. “They are happy to participate in Chispa and protest when they have to go home.” She was excited that after teaching in the region for more than two decades, this was the first year she’d seen children—including Alondra’s brother Roland—finish high school. Then it was Alondra’s turn to speak. She had insisted on memorizing her speech and spoke calmly and clearly to the crowd about what the SPAMMY project and the Chispa program had accomplished for her. “It has inspired my dreams and creativity, and little by little it has introduced me to the world of technology,” she said. The program had allowed Alondra, whose educational opportunities would have been limited, to become a leader within her community and looked up to by other children. And she is only at the beginning of her journey. She told the audience that her dream was to become a doctor, to go back and help her community. Hernandez noted that all the children who have new opportunities to go to school dream of the same thing: helping the people at home. The impossible is indeed possible. Believe that it’s possible, remove the fears and throw them away. Paint your face with hope and embrace your future with a courageous heart and passion. 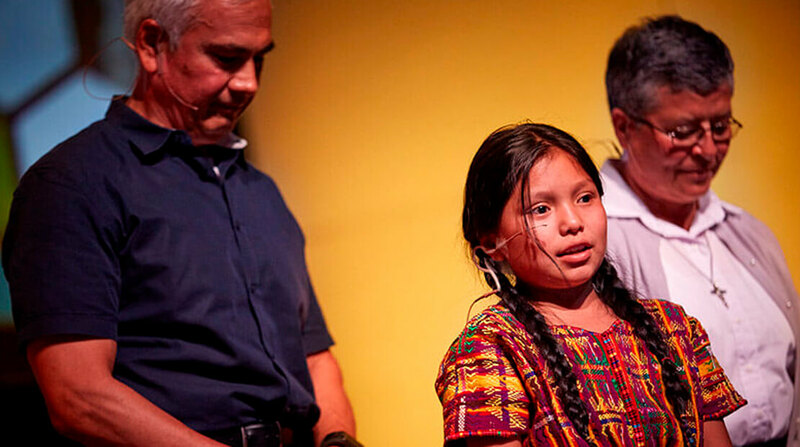 The audience clapped as the tiny Alondra stepped off the stage and into her future.